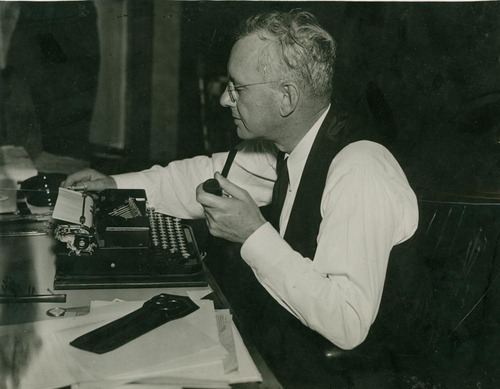 This photograph captures Kansas Governor Alfred Mossman Landon sitting at a desk, holding a pipe and working on a typewriter. He was governor from 1933 to 1937. In 1936, he was the Republican candidate for President, losing to President Franklin Roosevelt.